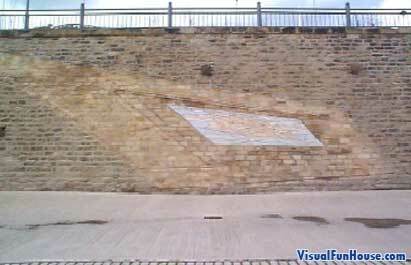 Sunderland Passing Through Optical Illusion was sent in by one of our UK viewers. 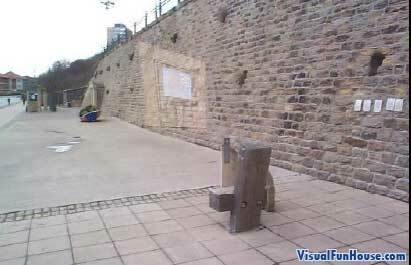 It was created in 1977 as by the St Peters Riverside Sculpture project, led by Colin Wilbourne. 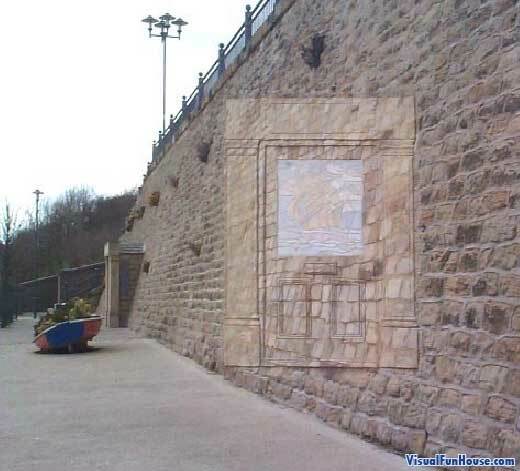 When viewed from an ordinary angle it just appears to be a skewed sketch on the wall. But when you find the right angel. The door seems to pop out from the wall.